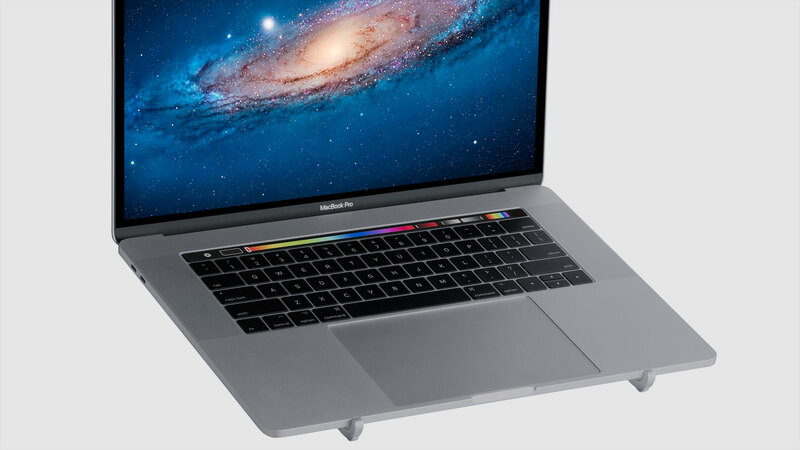 mBar raises and tilts your Macbook, makes viewing, typing and swiping on the Touch Bar easier. mBar’s minimal design with clean lines and subtle curves complements your Macbook and enhances your workspace. 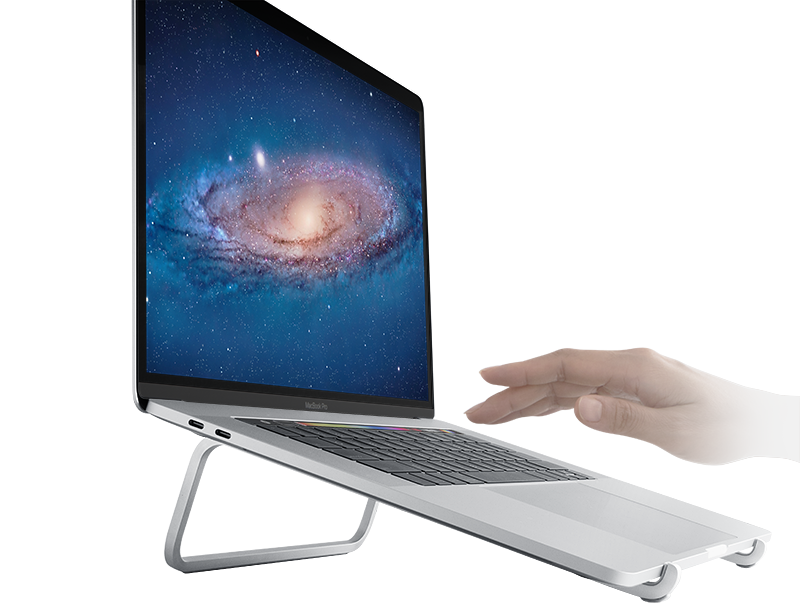 Elevates laptop by 3 inches (75mm). Lightweight: 0.22 pound (100 grams). 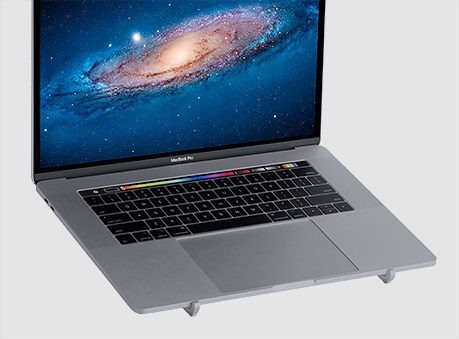 Increases airflow around laptop for better cooling. These units are cleverly designed, impressively engineered and constructed, and tremendously useful... All three mBars are built to last for years, and are very affordable. 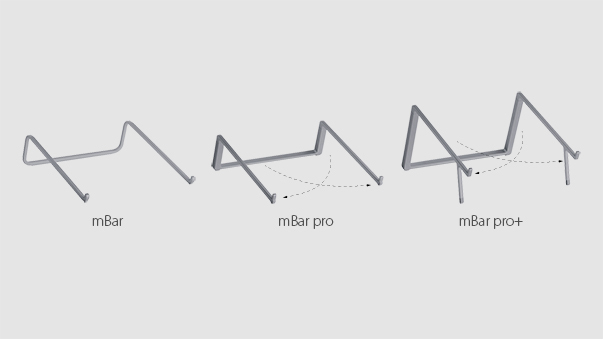 What is the difference between mBar, mBar pro and mBar pro+? 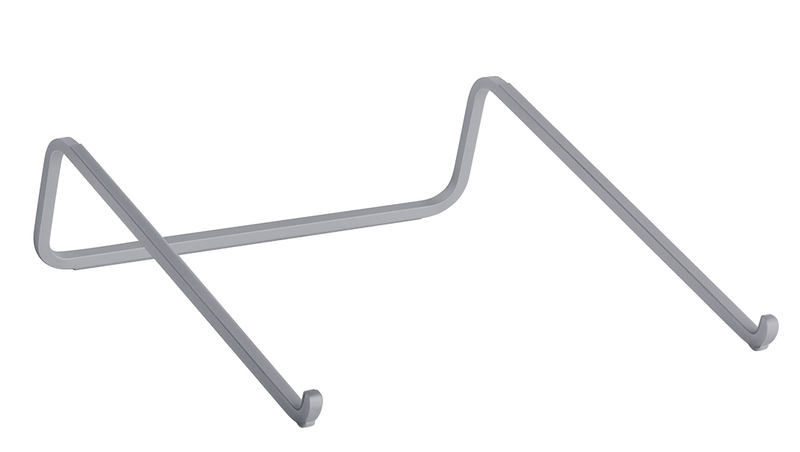 mBar is a fixed size stand. 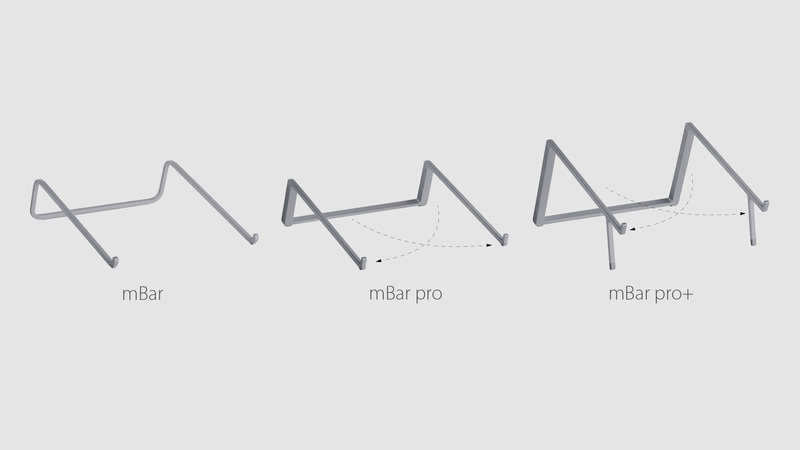 mBar pro and mBar pro+ are foldable stands. 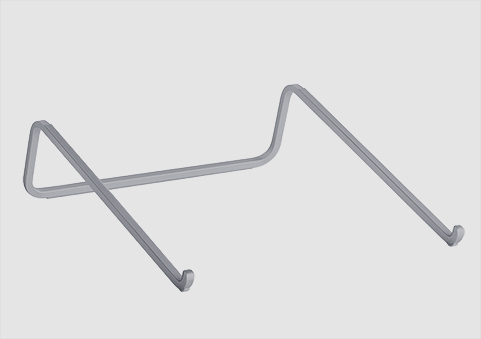 Does mBar works with iPad and iPad Pro? 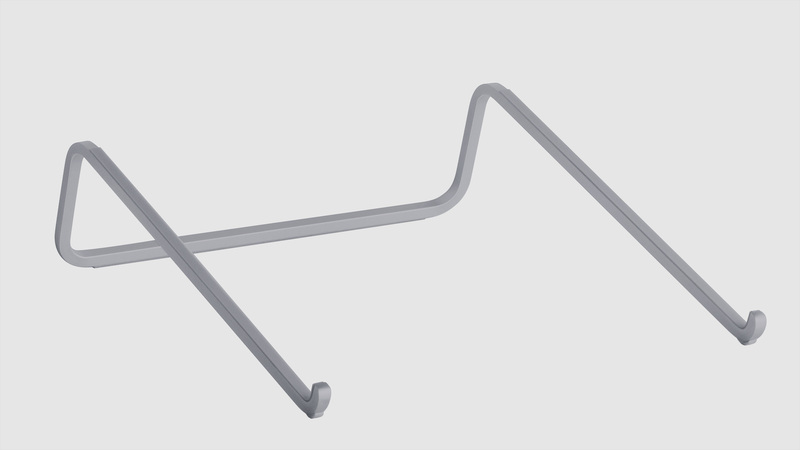 mBar works with 9.7-inch iPad, 10.5-inch and 12.5-inch iPad Pro in horizontal mode.